John Folan is the T. David Fitz-Gibbon Professor of Architecture and Director of the Urban Design Build Studio (UDBS) at Carnegie Mellon University. 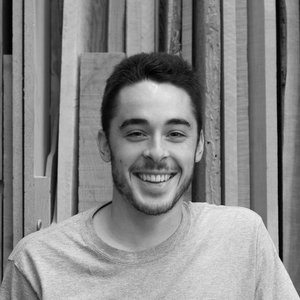 John served as track Chair of the Masters of Urban Design (MUD) Program and member of the Urban Laboratory faculty from 2009 to 2012. He is a graduate of the University of Illinois (Bachelor of Science in Architecture, High Honors) and the University of Pennsylvania (Masters of Architecture) where he was a Kahn Fellow and recipient of the Henry Adams Medal. Registered as an Architect since 1995, John has focused his research on the methodologies employed in the translation from drawing to building. He investigates this in two ways: as pure developmental analysis and in application through critical practice. The research embraces methodology in the context of site condition, constructive logic, and material technologies - both traditional and emergent. A fundamental component of the research is the development of representational techniques and analytical experiments that enable simultaneous study of physical and phenomenological conditions. Experimentation with representation and analytical testing is investigated as a means of collapsing the multifaceted layers that separate conception and construction, establishing an analogue between representation and fabrication. John's applied research in practice has included large-scale cultural and institutional commissions in the United States, Japan, Africa, and Europe. Executed within variable urban and rural landscapes, the projects have consistently engaged construction as an inherently centered, collaborative accomplishment predicated on broad consideration, sensibility and ethics. Included in this body of work are the Smithsonian Institution National Air and Space Museum Steven F. Udvar-Hazy Center, the National Wildlife Federation Headquarters, and the United States Embassy Compound in Nairobi, Kenya. John's work in practice has been critically reviewed in more than fifty journal articles, has been included in several published compendia, has been documented in two building monographs, and has been recognized by more than thirty national and international professional merit award programs. Prior to joining the faculty at Carnegie Mellon University in 2009, John was a tenured Associate Professor at the University of Arizona. While on the faculty at Arizona he was a founding member of the Emerging Materials Technology (EMT) group. He also co-founded and served as an executive board member of the Drachman Design Build Coalition (DDBC); a university affiliated, non-profit, 501(c)3 corporation dedicated to the design and construction of environmentally specific, energy efficient, affordable housing prototypes. Projects with the DDBC in Tucson's Urban Empowerment Zone have been recognized with three consecutive AIA Arizona Honor Awards for Residence of The Year. Urban strategies employed in the implementation of the DDBC work influenced the collaborative development of the Drachman Institute’s legislative proposal that was recognized with first place award in the 2008 National Urban Policy Initiative Competition (NUPIC). The work executed with the DDBC, and currently with the UDBS, has enabled John to collaborate with students in finding sympathetic relationships between physical and cultural conditions through construction - not as a physical operation, but as a comprehensive unity informed by site, material, material behavior, technology, methodology, and representation. Recognizing society and popular culture's gravitation toward specialization, John's teaching pedagogy focuses on the fundamental core attributes of practice and education that rely on reasoning, logic and ethic. His pedagogy has developed out of a desire to establish intellect and maintain broad reaching consideration in the creative process by engendering clear reasoning skills; reasoning skills that will defy the restrictions of specialization and benefit the academy, profession and society with generosity. His teaching was recognized at the University of Arizona with six consecutive Robert C. Geibner Awards, the Daryl Dobras Award, and the university's highest teaching honor, The Five Star Faculty Award. Steve Catranel Construction Co., Inc.